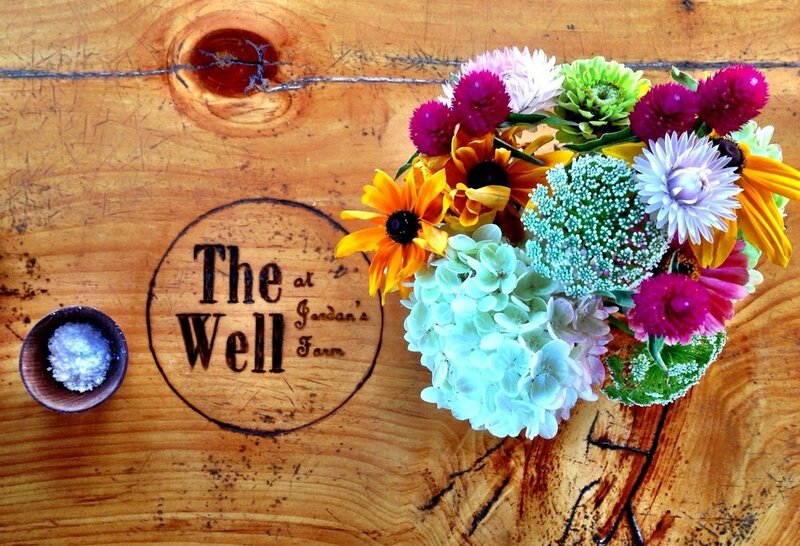 The Well is located in the beautiful seaside town of Cape Elizabeth, Maine. We are lucky to be situated on Jordan's Farm, which is a working farm on 122 acres of land. Our ingredients are sourced locally as much as possible. 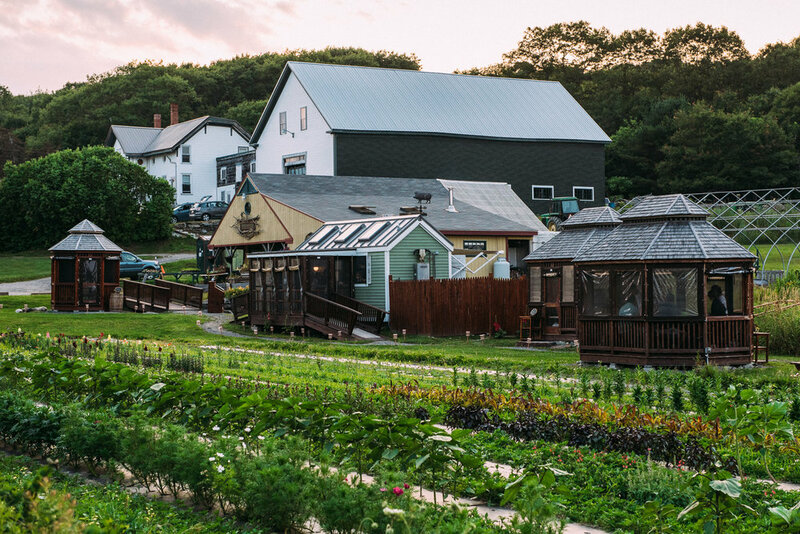 Most of our food comes straight from Jordan's Farm and surrounding farms in Cape Elizabeth. Our menu changes on a daily basis depending on what's in season and the availability of the best ingredients. While you wait, we invite you to look around the farm stand, sit at our fire pit and catch up with friends, or with just a small donation you can pick your own flowers (August, September) from the garden. Jason Williams was raised in Silver Lake, NH. Since an early age he was devoted to learning as much as possible about the Culinary Arts industry. After graduating from the Culinary Institute of America in 1998, he decided to combine two of his favorite interests, food and travel, and moved out to California where he was exposed to a wide variety of produce and techniques. After four years in Lake Tahoe working in it's finest kitchens, it was time to move on. A new passion for seafood led Jason to the island of Maui where he spent three years working under the leadership of renowned Hawaiian regional chefs Peter Merriman and Roy Yamaguchi. During this time, a developing appreciation of wines led him back to California to work a harvest apprenticeship at Cakebread Cellars in Napa Valley where he took a hands on approach to the winemaking craft and developed a deeper understanding of wines and the wine culture. While the wines were aging, the kitchen life was calling, so Jason began working for chef Robert Curry at Auberge du Soleil Resort in Rutherford, California. In 2005, Jason settled down in Cape Elizabeth, Maine and took a job with chef Larry Mathews Jr. at one of Portlands finest restaurants, The Back Bay Grill. For four years Jason worked with Larry polishing the skills he had learned as well as new techniques that Larry shared. It was during this time that Jason's relationship with the Jordan family developed. In 2010, a unique opportunity presented itself and with the Jordan's blessing, Jason established The Well at Jordan's Farm which became a welcomed addition to the farm stand. Jason's goals are to create the food that inspires him, for the community that inspires him, in a setting that would inspire all. available for parties of 6 or more. 3 course meal served on large, shareable platters. Salad & bread to begin with seasonal vegetables, starches, fish, chicken and a third protein option (usually pork) for the main course. Dessert is also included. CLOSED FOR THE SEASON. REOPENING IN JUNE 2019. June reservations become available in March, July in april, august in may and september reservations become available in june. look forward to seeing everyone for season 9! We are offering prepaid Tasting Menu or Family Style (6+) gazebo or chefs counter reservations this season. For larger parties or buyout inquiries, please call or email. Walk in a la carte/bar menu will be available with limited seating.